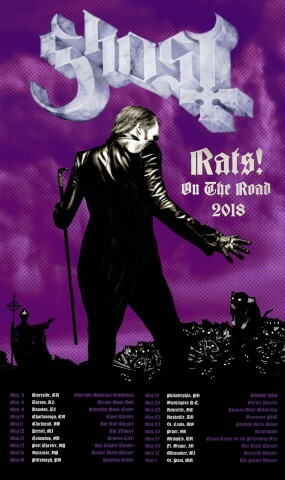 The Swedish act Ghost presents the teaser "Chapter One: New Blood", featuring Papa Emeritus Zero, who first appeared on September 30, 2017 at the band’s show in Gothenburg, Sweden. In a 3-minute video, Sister Imperator says Papa Emeritus Zero that the band’s Grammy win was "not enough" and, changing into a younger version of herself, argues that what’s needed is "a new leader with youth, stamina and sexual charisma… someone more like you, but in your prime". In the teaser, the young version of Papa Emeritus Zero also appears for a short while. At the end of the video, one can see behind the door a silhouette of the Papa, who should become "a new blood" for Ghost. 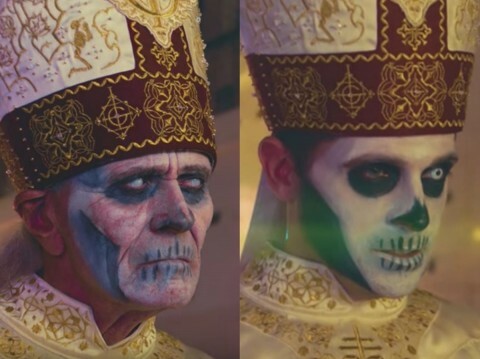 Papa Emeritus is the image played by Ghost’s leader, singer, and musician Tobias Forge, who this summer revealed his identity at the Swedish radio show "Sommar i P1". Before the release of each album, the band announces its "new" frontman. It’s reported that the last four months Forge has spent working on the 4th upcoming Ghost’s record, which release is tentatively scheduled for April 2018. He told Metal Wani earlier in the year that the disc would be "darker" than "Meliora", "because it's thematically set in a darker setting. 'Meliora' was supposed to reflect some sort of utopia/dystopia in the modern society, whereas this new one is gonna be a little bit more apocalyptic, a little bit more back to the medieval times, which, obviously, is associated with darkness." Ghost: "It's a constant improvement that we're trying to achieve"